If you are working around Bugis area and are looking for a good breakfast, give Hock Lee Fishball Noodle a try! This stall is located at Albert Centre Market and Food Centre. 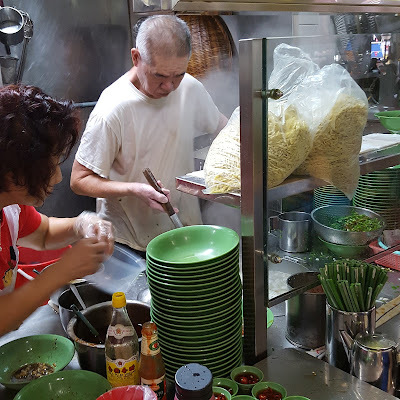 It opens only in the morning and start selling their noodles at 6.30 am onwards. 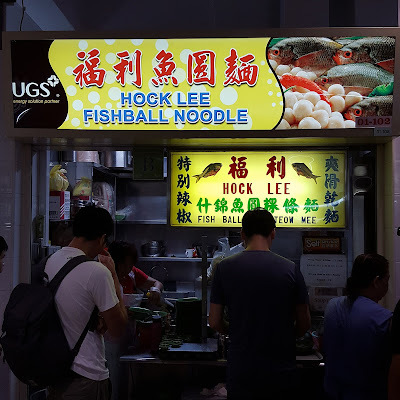 So what is so unique about Hock Lee? Well, it sells handmade fishballs, not factory-made fishballs. The fishball noodles comes at different prices, ranging from $3.50 to $5. There is always a short queue at this shop, but they clear them quite fast. Another point to note is that although the shop closes at 12 pm, sometimes they sell out by 11 am. So if you are an office worker, it is nearly impossible to try this during lunch time as they would be closed by then. The Fishball Noodles (dry with no chilli) $3.50 came with 6 pieces of fishball. The star of this is definitely their handmaded fishballs. 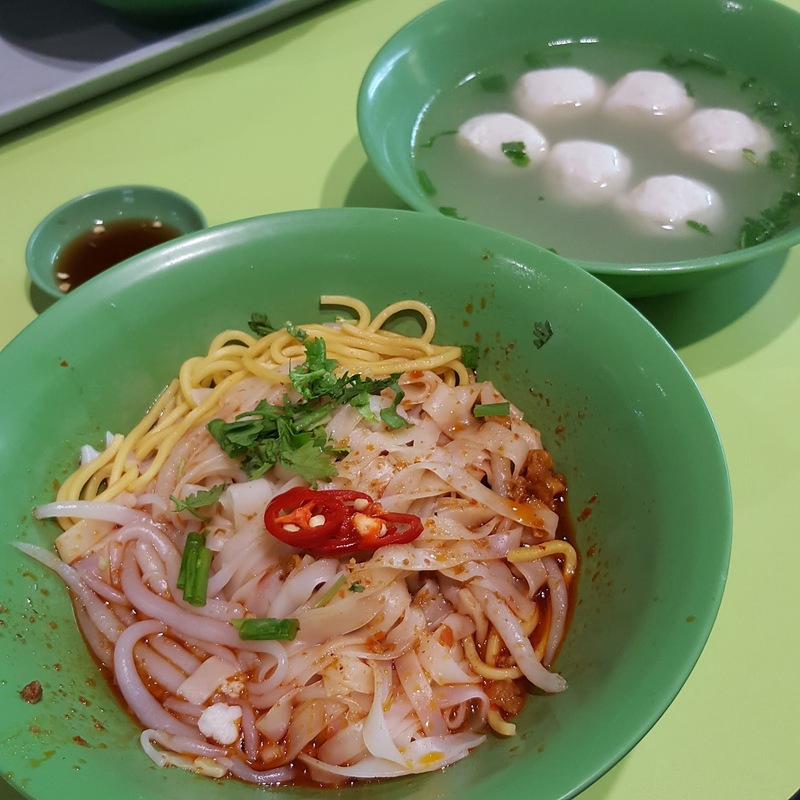 The fishballs, of different sizes as they were handmade, were firm and springy, and slightly smooth! As their signboard mention about their special chilli, I had to give it a try. 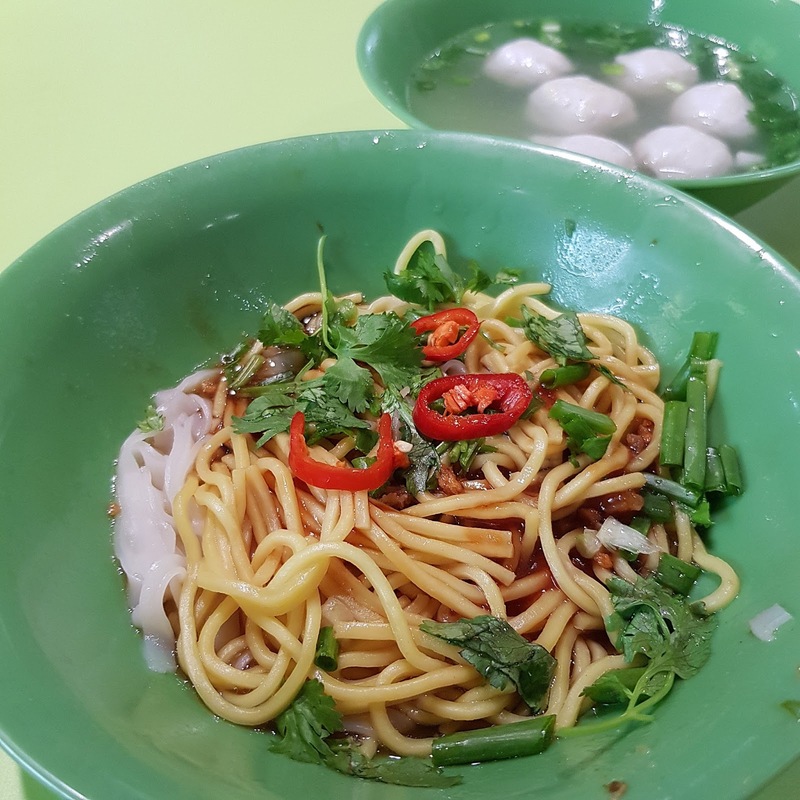 Hence, on another occasion, I ordered the Fishball Noodles (dry with chilli) $3.50. Personally, I thought that it was just average. Maybe it was because I felt that there was too much chilli oil. I prefer the version without chilli. To conclude, this is worth a try! Priced at $3.50, you get 6 pieces of fishballs along with noodles. 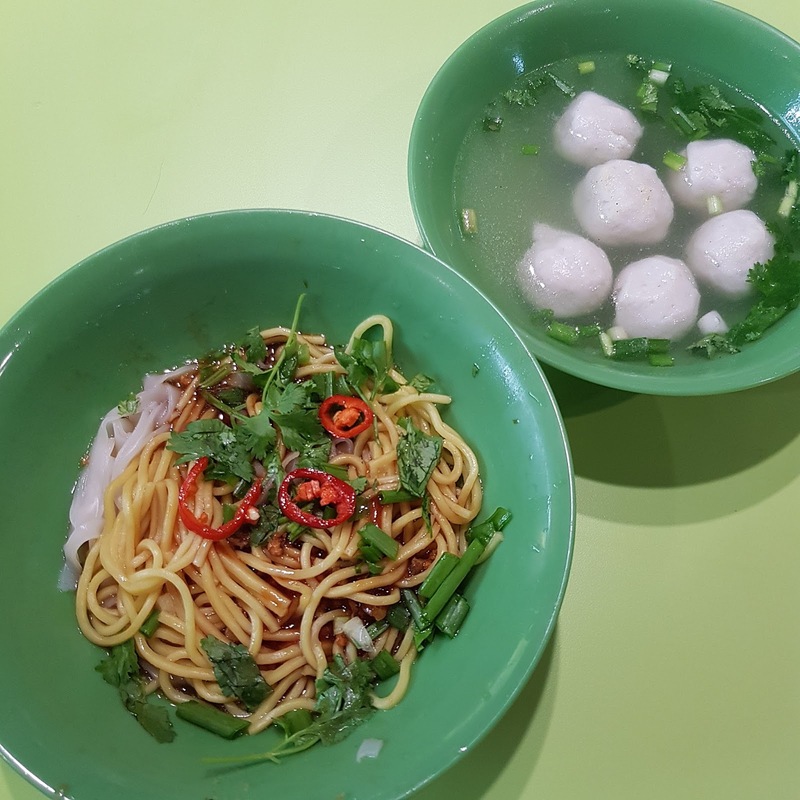 That is effectively $0.50 for each piece of fishball and the bowl of noodles! Definitely worth it!